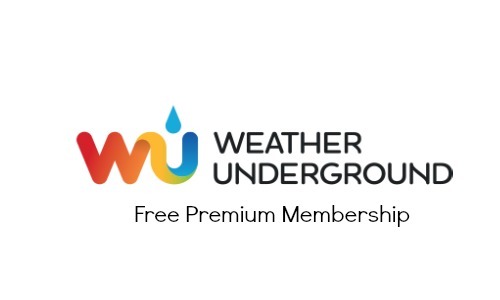 Get a FREE Weather Underground Premium Membership for a year when you use the code CLASC to upgrade! Weather Underground Premium gives you commercial FREE viewing and 40 frames of radar animation (that’s 4 hours of radar!) They will also send you Ad FREE weather alerts in your email. Weather Underground gives you hourly weather updates and gives very detail weather reports no matter where you are. -Enjoy Weather Underground with no commercials and more 4 hours of radar views for 1 year.